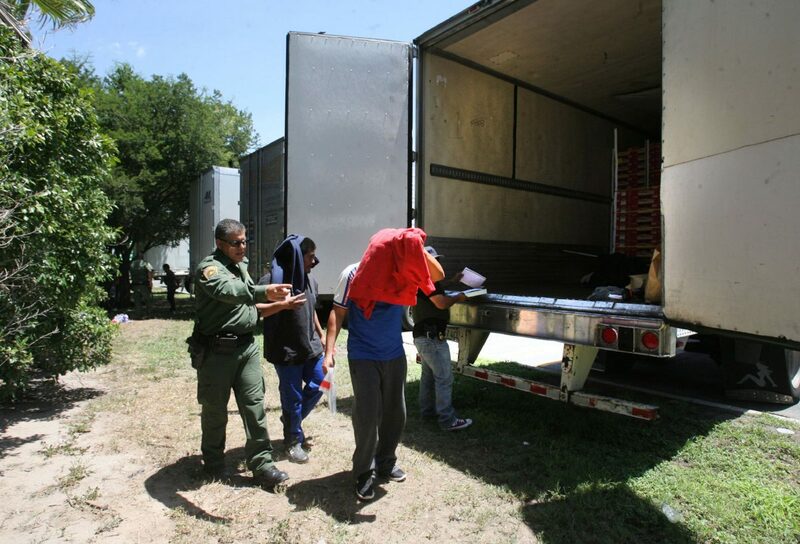 EDINBURG — A group of 17 undocumented immigrants were found inside a tractor-trailer Sunday at the Flying J gas station in Edinburg, according to Edinburg police. There were no ambulances observed on the scene, and Edinburg police did not report any injuries or casualties. After receiving a call from a relative of an individual inside the trailer, Edinburg police said they arrived on the scene and began knocking on tractor-trailers. Once officers received knocks back from one trailer, they found 17 immigrants locked inside from Mexico, Guatemala, Honduras and Romania, police said. 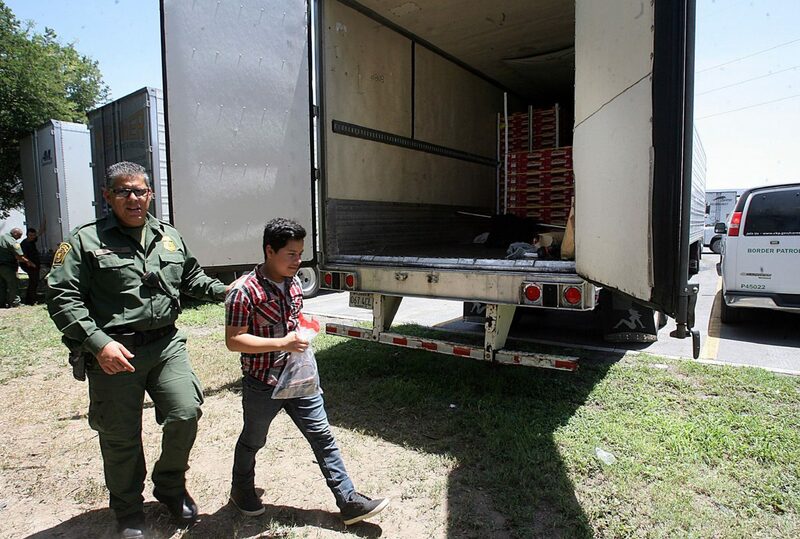 A male and female of Cuban nationality who were in charge of the tractor-trailer were detained, police said. Border Patrol is taking over the investigation. Robert Rodriguez, a Public Affairs Supervisor for Border Patrol, said they are still gathering details. Homeland Security is also looking into the incident. Before being taken into custody, The Monitor observed a group of more than 10 individuals sitting in a shaded area underneath a tree. 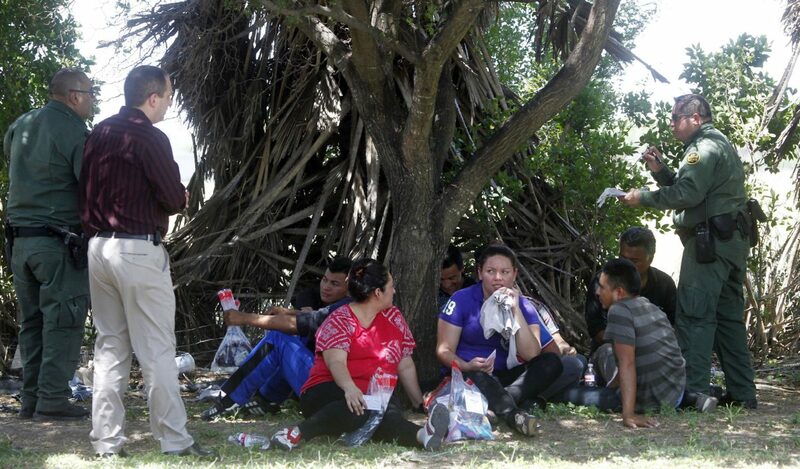 They were drinking bottled water while Border Patrol agents conducted the investigation. The group of individuals were eventually searched before being escorted into a Border Patrol van. Monitor staff writer Lorenzo Zazueta-Castro contributed to this story.